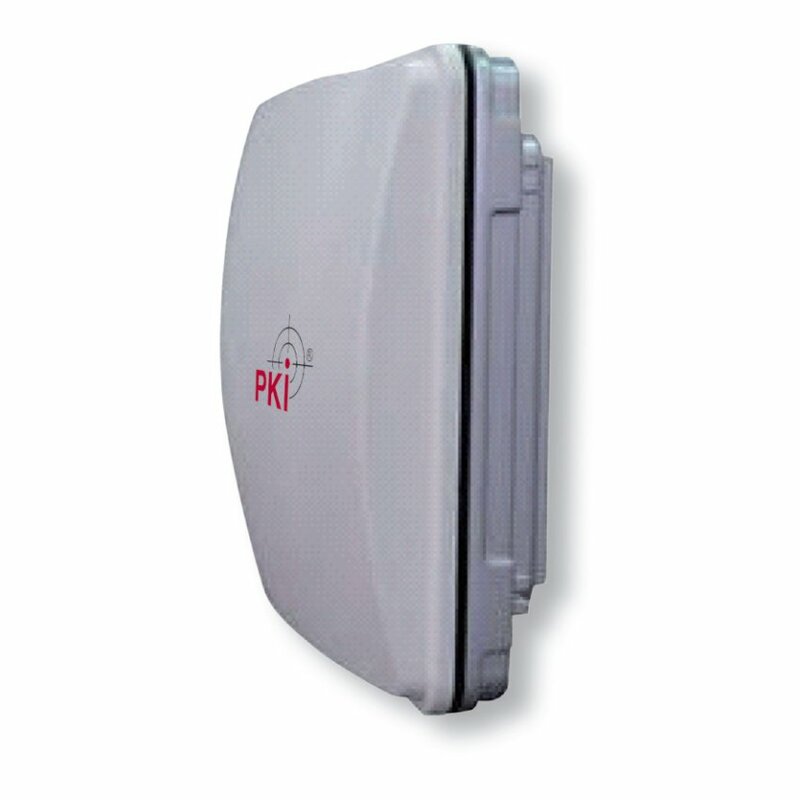 Our PKI 6045 is a powerful jammer which jams communication via WLAN networks. In times where wireless network adapters are not bigger than a USB socket, network security is an important issue in order to avoid unauthorized data flow. The PKI 6045 jams not only the common 2.4 GHz frequency but also the 5 GHz range which is used more and more frequently. The antennas for both frequency ranges are placed within a solid and outdoor-proof housing. Due to the directivity of the antennas, a high coverage will be obtained. The PKI 6045 is suitable for wall and mast mounting and use under extreme weather conditions due to its water-proof housing. The device is equipped with a remote control in order to activate the jammer discreetly in case of hard-to-reach fixing points. Of course PKI 6045 is also designed for further application within the 2.4 and 5 GHz range such as data transmission for Bluetooth or wireless video transmission. Therefore, operation of PKI 6045 is not limited to the radio network.